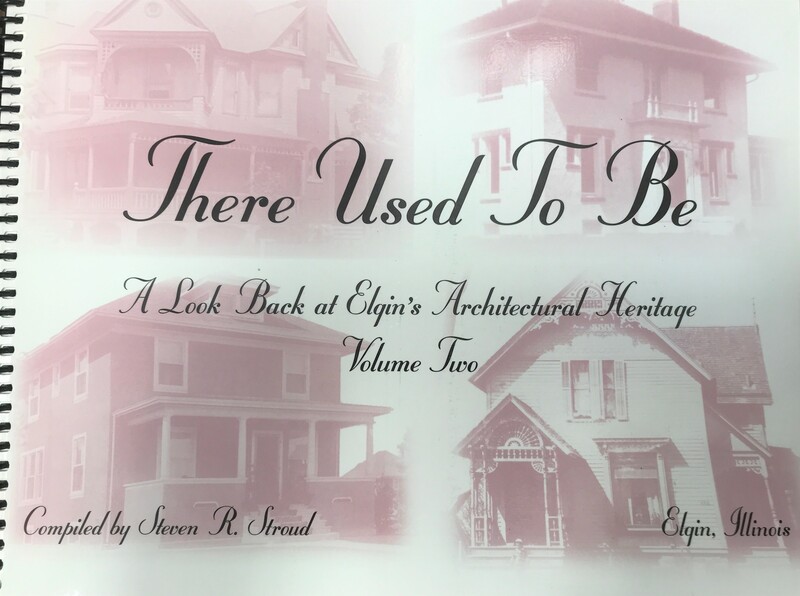 This is the 2nd book in the There Used To Be series of Elgin Architecture books written by local house historian Steve Stroud. 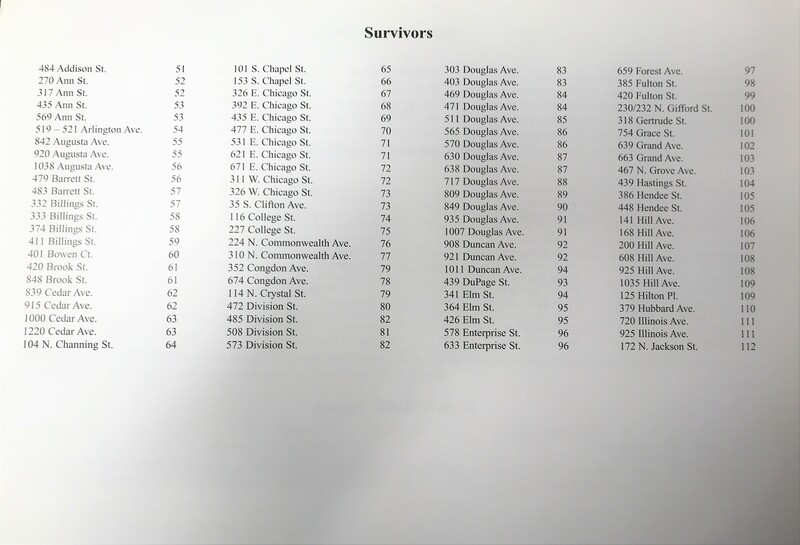 It is divided into five chapters: Chapter 1: Lost and Gone Forever features homes that cannot be restored. They have been razed or destroyed and are now lost and gone forever. 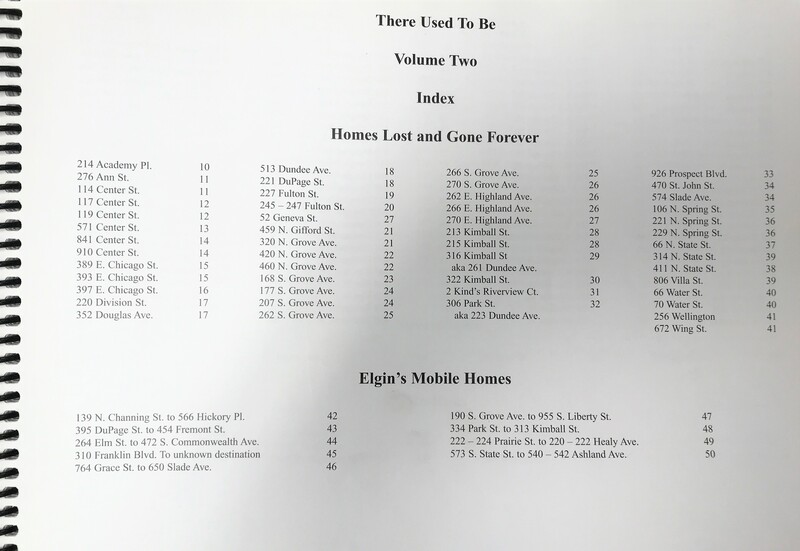 Chapter 2: Elgin’s Mobile Homes are homes that have been moved to a new address. 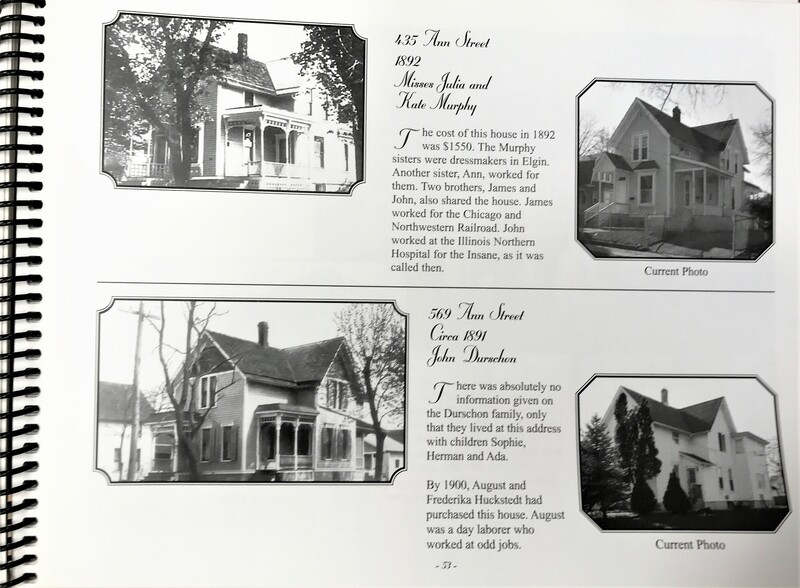 Chapter 3: Survivors are then and now photos of homes still standing. 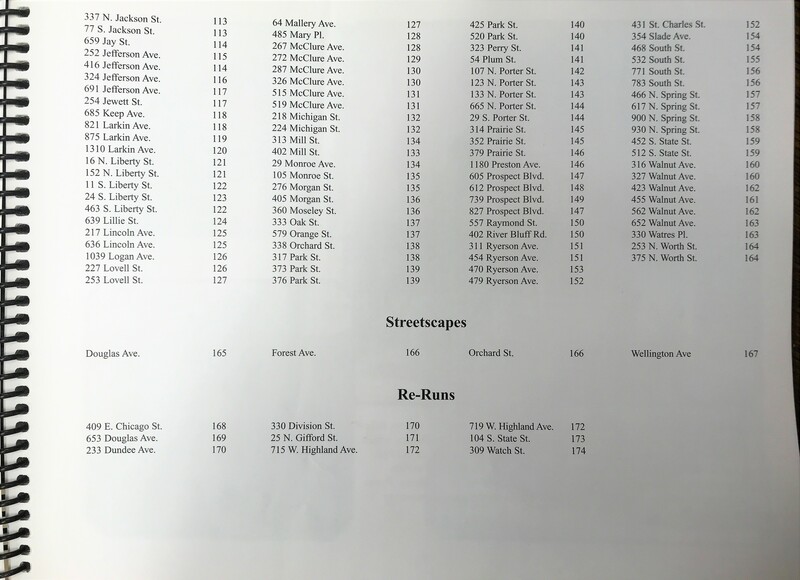 Chapter 4: Streetscapes features a few streetscape photos. 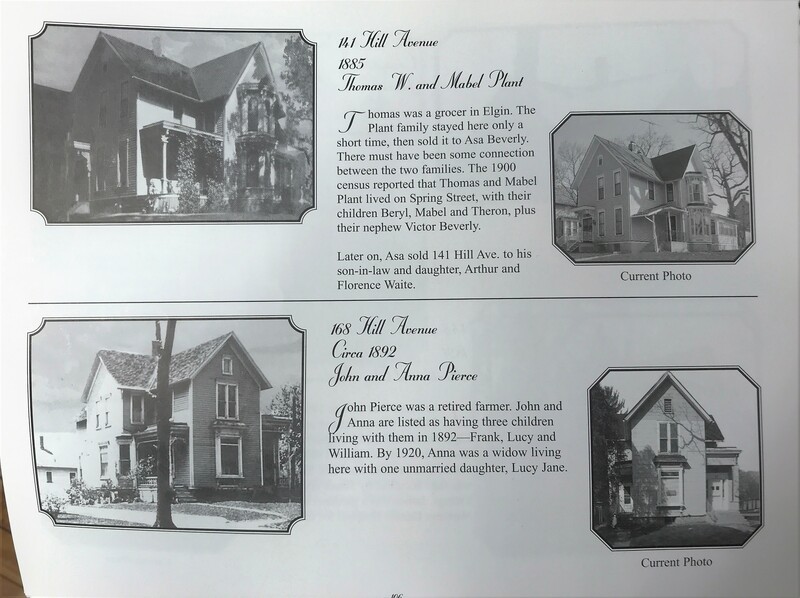 Chapter 5: Re-Runs are homes that were featured in volume 1, with additional photos. Zoom in on the index photos if you are looking for a certain address.